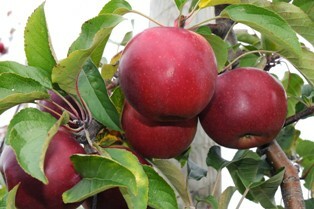 Gala is available as many different clones; the highly coloured Gala like Mariri Red, Royal Beaut et al; are being planted extensively, but a new Gala 'sport' - Gala One which 'flowers and matures earlier than the mainstream Gala sports is set to make an impact, with the first fruit on sale in September 2017. 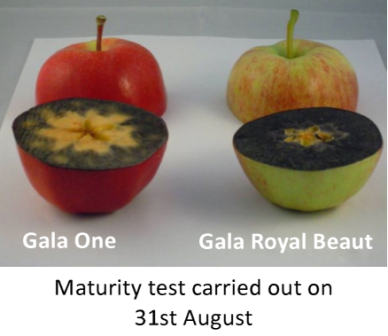 The picture of Gala One shows its earlier maturity by the level of starch recorded on 31st August; Gala One is well advanced in starch reduction compared to the 'near 100% starch' on the other Gala clone (Royal Beaut). 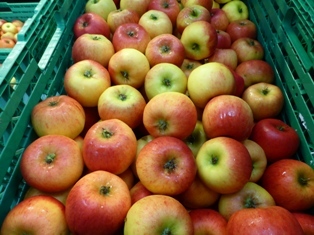 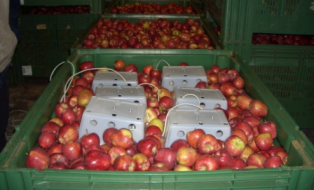 Below: left; Mole End packing operation in progress - and - right; Rubinstep (winner of the tastiest apple at the National Fruit Show) is marketed as Blaze by outlets supplied by Mole End. 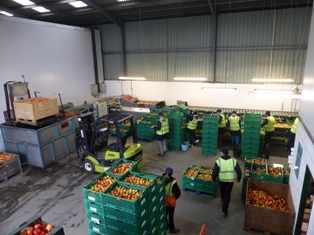 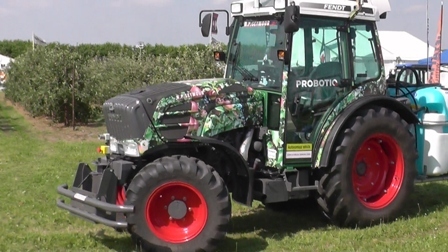 The English Apple Man will feature the efforts of Mole End Farms and expand on all 'the above' in 2017 Journals! 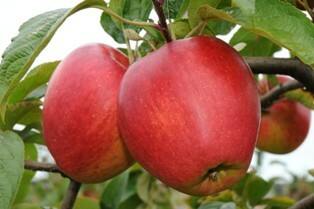 The English Apple Man Wishes you all..